My husband is a landscaper. During the winter his work gets a little slack. Does that mean that we can tap into our emergency fund to help cover our expenses or should we open a separate account just for this situation? 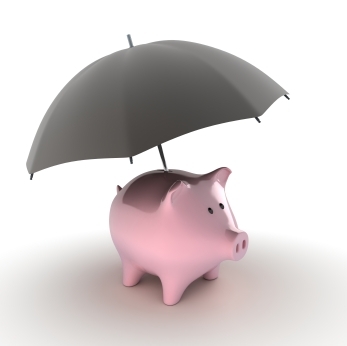 In some ways, this is an issue of semantics – how exactly do you define your emergency fund? To me, a seasonal slowdown does not qualify as an emergency. Rather, it’s a predictable hiccup in your income stream, and it’s best addressed through proper budgeting. Ultimately, my advice would be to create a dedicated emergency fund that is to be used only for unanticipated emergencies. Alongside that emergency fund, I would create a separate “income-smoothing” account. If you’re looking for a bank that makes this really easy, you should check out ING Direct, as they make it very easy to create subaccounts for this sort of thing. In order to smooth out the peaks and valleys throughout the year, I would recommend adding up your annual expenses. Next, compare that number to your annual income. If you’re spending more than you earn, that problem needs to be addressed first. Perhaps you’re a bit looser with your spending during the good times, or maybe you need to reign things in throughout the year. Whatever the problem, you need to make sure you’re living within (if not below) your means. Next, divide the total by twelve. This is your average monthly expenditure. With variable income, you’ll have months where you earn more than you spend and months where you earn less than you spend. The goal here is to smooth things out across the year. This sort of smoothing can most easily be achieved by directing all income into the income-smoothing account. Then, on a monthly basis, transfer out a “salary” to your regular checking account to cover your expenses (don’t forget about retirement investing, emergency savings, and so on). The ultimate effect here will be for you to build up a cushion during the good months that you can tap into during the bad months. By keeping this account separate from your actual emergency fund, you won’t be tempted to draw down the latter when things get tight. I grew up in a situation somewhat similar to what Vivian described. My dad was a school teacher and was therefore only paid for nine months out of the year, and my mom stayed home with the kids. While the school district gave them the option of spreading my dad’s salary out into twelve equal checks, my parents never did this. Instead, they took his pay over nine months and then simply saved a portion of each check to cover the summer months. Doing this allowed them to get their hands on the money sooner and to earn a bit of additional interest while still covering the lean months. As far as I know, they didn’t have separate savings accounts for smoothing things out, they just had a lot of discipline. Adding a dedicated account for this purpose makes it much easier to keep track of where things stand, though, and should greatly increase your likelihood of success. I’ve been using this process for years, with my weekly pay being direct deposited into a money market (which was great back when it paid 5%) with a monthly transfer of my budget amount into my checking. This money market also contains the emergency fund. 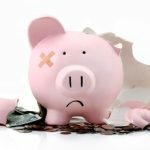 At the beginning of each year I transfer everything over my determined emergency fund amount into investments (on top of my regular 401k/529 payroll deductions). So during the year, one look at my account balance shows how far ahead/behind I am. 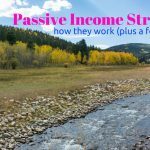 This is just basic spreading for anyone with a known irregular income (paid a salary over 9 months). But for someone like me whose monthly pay swings wildly and is pretty much unknown at the start of the month, choosing that monthly budget amount to transfer really gives you a new lifestyle/spending perspective. There is no real reason to think my pay will average over the next X months the same as over the past X months, so I don’t have even a good estimate of a number to base my spending/saving off of. So instead of setting an amount of savings (whether it be percentage or absolute $s) and thinking that amount of saving has now made me a responsible adult and everything else is mine to spend with a clear concious (how I used to do it), I really think more about my ‘needs’, what is reasonable, what is ‘enough’, and at what point spending my next dollar has such marginal utility as compared to its future value that it would be ridiculous to spend it, no matter my savings rate. This has changed my whole philosophy of budgeting and, as my income has increased, has led to a >50% savings rate. Now possibilities such as extreme early retirement and starting a fairly risk-free business with cash have materialized. If I had been making a known salary (of the same total amount) over the years, I don’t know if this would have ever occured. In the interest of simplicity, I keep the emergency fund (we might call it a contingency fund, actually) in the same interest-bearing checking account where the various bits and pieces of income alight. The net effect is the same: in some months expenses will eat into the fund, but in others, costs will be low enough to replenish the fund and then some. Business-related income and expenses should be run through a separate account. I would do that even if I were running a sole proprietorship. My little S-corporation has its own business account. Any of its earnings that I need to use for personal reasons is disbursed to me as salary or dividends, and taxes duly paid. For a variety of reasons, it’s foolhardy to use a business’s funds to pay for personal expenses. It comes under the heading of breaking the corporate veil. Trouble with the IRS is only one of several headaches that can produce. Giving yourself a salary is a great way of managing your money with a minimum of hassle. I have an additional complication with my situation in that I have a few big expenses that only come once or twice a year. (taxes, insurance, etc.). I use the same method you discussed except that I exclude those big ticket items from my salary calculation. Instead I schedule those deposits as needed from my higher interest “income-smoothing” account. Iâ€™m sorry to pick on you, but this is wrong also. You can only deduct against the business those items that are bought for use in the business. If you buy something that is used both for the business and for personal use, you must estimate the business use and deduct only that portion against business income. Let me give you an exampleâ€¦We have a business we run out of our home. There is one computer that is used both for the business and for personal use. Reviewing hours it is used for each, we calculated that it is used 35% for the business, and 65% for personal use. Therefore, we only deducted 35% of the cost of that computer for the business. Now the other computer that is used solely for the business (and never for personal use) is 100% deducted against business income. make sense? that’s cheating. Technically, you should be reporting these things you receive in lieu of income AS “income” when you file your taxes. And your parents should report as payroll expense. If you guys get busted doing what you are doing, you will not only owe the taxes (you federal; and your parents, employment), but you will BOTH (parents AND you) owe penalties and interest. Thanks that makes great sense to me!! My parents also have lived with variable income for as long as I can remember. Their business is farming and custom spraying(to kill weeds). The income typically comes in strong from May-August, then you have the harvest to sell in November-December. In the last few years as the business expanded they separated the business from their personal accounts more than they had before, then just set up a salary paid to my dad which I assume is done monthly. This allows the business line of credit to take care of the smoothing while their personal finances are stabilized. If you go this route then your emergency fund would be for personal emergencies and the business account would smooth out the rise and fall of income. Another benefit of this method would be to keep business(tax deductible) expenses separate from personal expenses. You can still use business money to buy things for personal use if you can deduct them. This is an additional perk of being self-employed. I work for my parents’ business on weekends and rather than taking a paycheck, I have them buy things for me that they can deduct. Tires, computer parts, tools, etc can all be counted as business expenses for them and I don’t pay income or payroll taxes on the money that I earn.